Utilizing business intelligence software for your organization is like turbocharging your car — with the result being a more efficient, better-performing and more powerful mechanism. And, much like a turbocharger, a BI solution can also be implemented without significantly weighing down your infrastructure. With BI and analytics software, users can identify underperforming or ineffective techniques, untapped areas of revenue and which employees would best succeed in managerial roles — all by collecting metrics of your day-to-day company operations. What’s tricky about business intelligence software, however, is identifying which solution will best suit your company model and practices. The BI solutions on market are designed to address different problems, aggregate unique data types and improve processes through specific methodology. All of this makes for a very complicated buying process, and frequently results in confused shoppers. For example, buyers interested in comparing two top BI vendors — Qlik and Tableau — might find it rather difficult to evaluate which option better fits their business. Luckily for interested buyers, the Business-Software.com team is happy to offer up our expertise on the matter. Read on to learn how the two vendors stack up in this head-to-head comparison of QlikView vs Tableau. Qlik (formerly QlikTech) is one of the more established players in the BI space, founded in 1993 with the goal of providing an improved, simplified platform for business insight. The company first launched QlikView in 1996 and has experienced widespread success with the platform since then, eventually prompting Qlik to go public in 2010. A second recently released solution, Qlik Sense, is also gaining traction as a self-service visualization tool for the end user. Qlik has retained top customers including Hertz, Cisco, Sony Europe, Deloitte and Big Brothers Big Sisters of America. Tableau Software was formed in 2003 by three individuals at Stanford: a professor, an MBA candidate and a PhD student. The company originated from a Stanford dissertation project that involved using a query language to visualize data, eventually employing that research-driven methodology to make analytics easy for all users. The vendor offers three core variations of its analytics software: Tableau Desktop, Tableau Server and Tableau Online. Incredible growth in recent years has seen Tableau lay claim to bigwig clients such as Tesla Motors, Pfizer, The World Bank, Adobe and Google. Qlik offers its renowned BI platform for both individual and enterprise-scale setups. The personal edition of QlikView is a steal, with no cost to the user and available to download directly onto his or her computer. The enterprise edition of QlikView is deployed via a server plus CAL licensing, for which pricing is not publicly disclosed. However, potential buyers should be aware that Qlik is known for having a somewhat complex pricing structure. Flexible deployment options and straightforward pricing make Tableau a great option for businesses who seek scalability. Tableau offers desktop-, SaaS- and server-based plans for companies of all sizes, including the personal and professional editions available for Tableau Desktop. The Desktop edition runs between $999 and $1,999 per user, and the Online version costs $500 annually per user. Companies interested in the Server edition will need to inquire about pricing information. The company also provides free trial access to each of its core platforms for users interested in taking a test run or comparing the Tableau products. QlikView utilizes an in-memory architecture combined with associative data indexing to provide on-demand data analysis directly to the user. With the capacity to process columns of data (rather than entire tables) and automatically map data from multiple sources, the platform is optimized to ensure speedy performance and immediate access to ad hoc analytics and reporting. In addition, the opportunity for extensive customization means that businesses with unique data analysis requirements can tailor the system to address their needs. Tableau is built on a visual query language that instantly transfers data into visual elements, enabling users with all levels of BI tooling and data analysis experience to interpret data sets. The platform also includes a data engine and an in-memory architecture through which users can perform queries and analyze large amounts of data quickly. With Tableau, users gain access to of-the-moment data insights without the hassle of complicated dashboards, scripts or wizards. QlikView and Tableau each have a distinct set of features, which make a direct comparison of the two platforms slightly more difficult. Below we’ve highlighted a few data analysis capabilities that the tools have in common, as well as a couple of noteworthy functions unique to each. 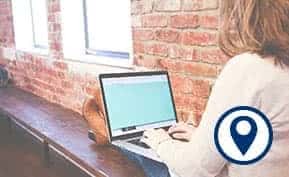 QlikView is accessible from a number of browsers, including Internet Explorer, Firefox, Safari, Google Chrome, the mobile version of Safari and the built-in browser on Android devices. A fully responsive design allows QlikView users to customize the platform to their liking and then deploy it across all devices — no separate application necessary. This setup ensures all teams and departments can easily switch between devices without fear of losing data or accessing outdated information. Tableau offers a mobile app for iPad and Android devices with many of the same functions as the core Tableau platforms, including drill-down analysis, team collaboration and dashboard editing and offline snapshots (available only for iPad users). Platform users can also access their Tableau accounts via mobile browsers. Qlik connects to a multitude of data sources, from spreadsheets and web pages to databases and custom data repositories. The platform can extract data from top sources from Google, ODBC, Oracle, Salesforce, SAP and Teradata. Other integrable data systems include Apache Spark, DataStax, Infor Lawson, Informatica Powercenter, MySQL, Sage 500 and Siebel. Users with the necessary technical expertise can also take data integration a step further by developing and implementing their own data connection. Much like its competitor, Tableau can collect data from a variety of external sources, with the exact lineup dependent upon which deployment you select. The enterprise-grade version of the Desktop platform can integrate with more than 40 data sources, including Amazon Elastic MapReduce, Cloudera Hadoop, Microsoft Azure SQL, MySQL, Oracle Hyperion, Salesforce.com and SAP HANA. The Online edition can support cloud sources such as Amazon Redshift, Google BigQuery, MySQL and Microsoft SQL Server. QlikView is praised for its speed and ease of development, as well as its ability to translate complex data sets into easy-to-read visuals. The platform does take time to learn — particularly for novices to the BI realm — though in-depth training videos and tutorials help the transition period go smoothly. Though many BI dashboards can easily feel cluttered with all of the data collected, Tableau avoids that cliche by focusing on a user-friendly interface, drag-and-drop tooling and simplified data visualizations. Attractively designed dashboards and easy-to-use templates also contribute to the tool’s high usability scores. In addition, Tableau’s training videos provide additional resources to further facilitate implementation. Users of QlikView give high marks for the platform’s online community, citing a breadth of knowledge on many product-related questions. Those who require additional help, however, will need to invest in supplementary support services. Many of Tableau’s clients express satisfaction with their customer support experiences and claim prompt responses to service tickets or inquiries. The company also offers online resources for questions and a well-developed online community accessible through the customer portal. 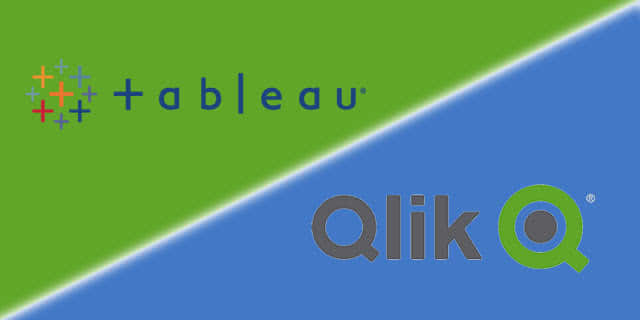 Interested in comparing QlikView and Tableau to other leading business intelligence solutions? Check out our free Top 10 BI Software Comparison Report to discover in-depth reviews of leading products in an easy-to-read chart. Kristin Crosier is a former Business-Software.com marketing team member.